The Candy Crab - Whats That Fish! 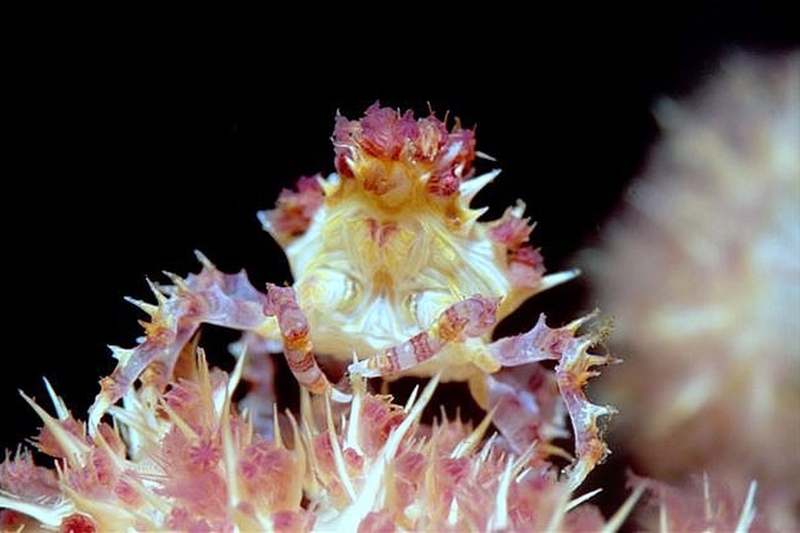 Also known as Commensal Soft Coral Crab, Dendronephthya Crab, Oate's Soft Coral Crab, Soft Coral Crab, Soft Coral Spider Crab, Spider Crabs, True Crabs. Found on coral and rocky reefs mimicking the soft coral it sits on (Dendronephtya) sometimes attaching the coral polyps to its carapace for further camouflage. They feed on plankton caught in the corals. Brachyura crabs are considered true crabs, they have a short abdomen, 4 walking legs and a pair of clawed arms at the front. Many thousands of species live worldwide in sea water, fresh water and on land.